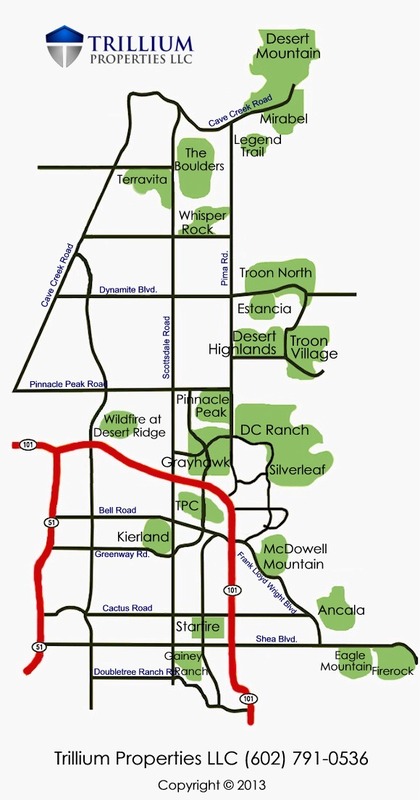 This map includes the most popular Scottsdale golf communities. View a full list of homes for sale by clicking on a community. 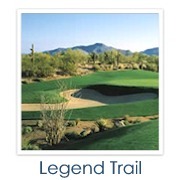 Each Scottsdale golf community has something unique to offer. Whether you prefer a lock-and-leave condo or a lavish custom home, Scottsdale has the perfect property for you. Give us a call at (480) 363-6244, or email Carmen Brodeur at Carmen@TopScottsdaleHomes.com to schedule a viewing of any Scottsdale homes for sale. 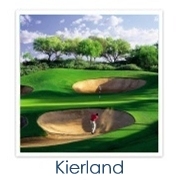 Scottsdale golf homes are in high demand for golfers and non-golfers alike. Many home buyers simply want a home with a lush fairway view, and those with a passion for the game want to live close to where they play. 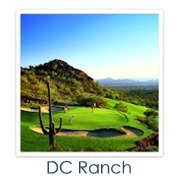 Scottsdale golf homes are certainly some of the finest and most luxurious properties on the market, especially if you know what to look for in the right one. 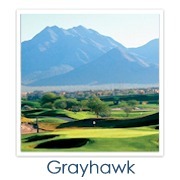 Below are a few tips for finding a golf home that you’ll love. 1. Golf homes are great for investors. The demand for Scottsdale golf properties is growing each year, and prices are rising at a faster pace than those for other types of homes. This is because there is a limited inventory of golf homes, and water restrictions are preventing new courses from being built. 2. Avoid homes that get pelted by golf balls. 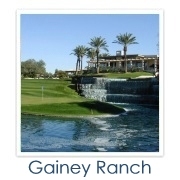 It is well-known that homes located 150-200 yards to the left of tee boxes are more susceptible to stray golf balls. Unless there are plenty of trees planted in the area, you’ll want to avoid these homes. Look for damage in the stucco on the back of the house to see if it gets hit often. 3. Check the yard for golf balls. Take a good look around the backyard of the property. If there are tons of golf balls in the plants, swimming pool or anywhere else in the yard, it is likely that golf balls frequently hit the house as well. 4. Homes on the cart path provide less privacy. Most buyers prefer homes away from or elevated above the cart path for this reason. It can be distracting when golfers are frequently driving by your home. 5. Expect strong language near tee boxes. Unfortunately, when golfers hit a bad shot or miss the ball entirely, they tend to swear. It is best to avoid homes near the tee box if you are offended by this sort of language. 6. Landscaping can increase privacy. If you purchase a property near a tee box or cart path, a bit of savvy landscaping can help provide additional privacy. 7. Expect to hear lawn mowers. For the majority of golf home owners, lawn mower noise is just part of living on the golf course. Most don’t mind, but you might want to listen to the lawn mowers when you visit the home to see if the noise bothers you. 8. View the properties during different times of the day. This will help you get an idea of what it’s like to live near a golf course. Having golfers pass by your home or hearing the lawn mowers can be new to some buyers. 9. Some courses let you access the course from your home. 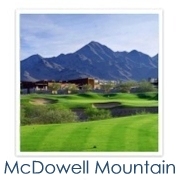 It is convenient for golfers to be able to have direct access to the course. Some golf communities in Scottsdale let homeowners build gates from their backyards to the course. If this is something you want in a home, you may want to find out which communities allow it. 10. Do you prefer a public or private course? Some buyers like the exclusivity of private country clubs and believe that there is less raucous behavior on private courses. At the same time, many prefer the more casual atmosphere of a public course and like not having to pay membership fees or club dues. You’ll want to decide which is right for you before purchasing a home. 11. Ask about the summer schedule. If you plan to play year-round, make sure you know what the summer schedule is like in your community. Many courses go into semi-dormant mode, with limited hours and staff. 12. Does the community host large tournaments? Many buyers live for the excitement and flurry of major tournaments held on their home courses, while others find the large crowds and heavy traffic to be inconvenient. 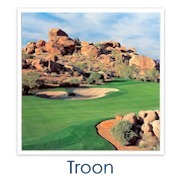 You’ll want to determine how you feel about large events before buying a home at a club such as TPC Scottsdale. 13. Learn about HOA restrictions in your community. 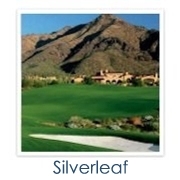 Scottsdale golf communities are often deed-restricted neighborhoods with landscaping requirements and limitations on changes you can make to your home. 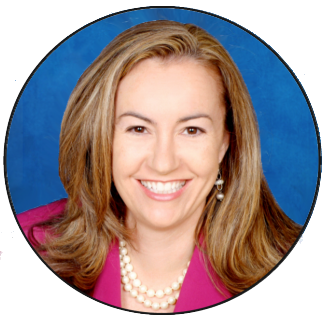 It is important to know what the HOA restrictions are in each community. 14. Find out about other community amenities. If you or your family members have other hobbies beside golf, you might want to look into the other recreational activities that the community offers. 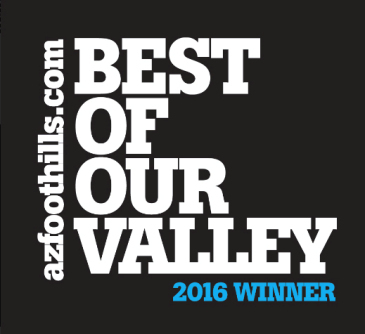 Several Scottsdale golf communities offer dining, fitness centers, walking and biking trails, tennis courts, swimming pools and more. 15. Your golf view can change. Golf courses have been known to undergo extensive renovations. This seldom occurs, but it is important to understand that clubs are not required to keep the same layout on their courses. 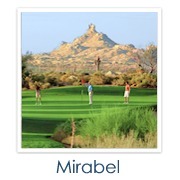 In addition, trees can be planted and other minor changes made that may affect your view of the golf course. There are many factors that go into finding the perfect golf home. 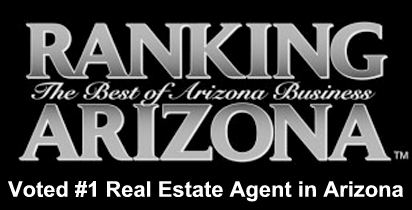 Choosing the right Scottsdale Realtor can help take away some of the stress of purchasing a home. 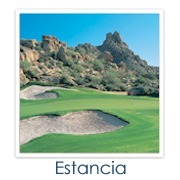 We are Scottsdale specialists with years of experience selling golf properties. 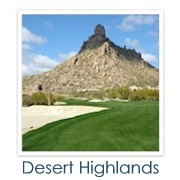 We would be happy to answer any questions you have about golf communities in the area or schedule a showing of Scottsdale golf homes for sale. 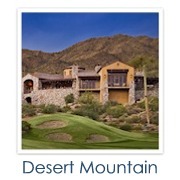 Just call (480) 363-6244 or email Carmen@TopScottsdaleHomes.com.